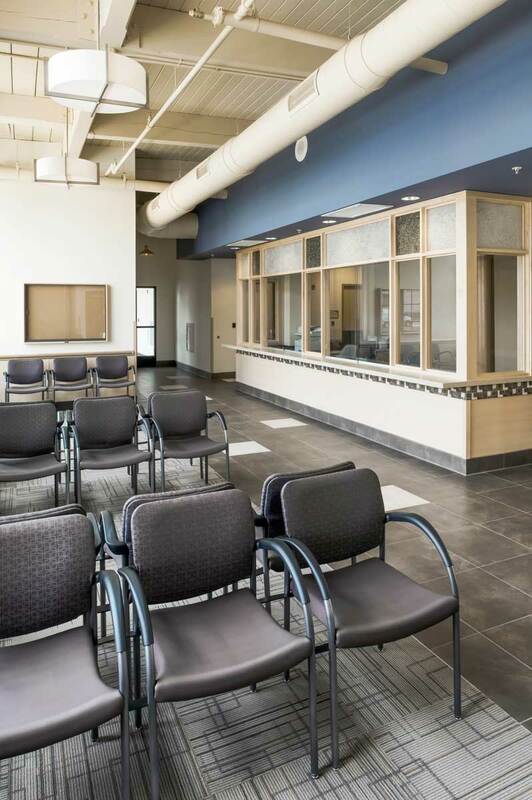 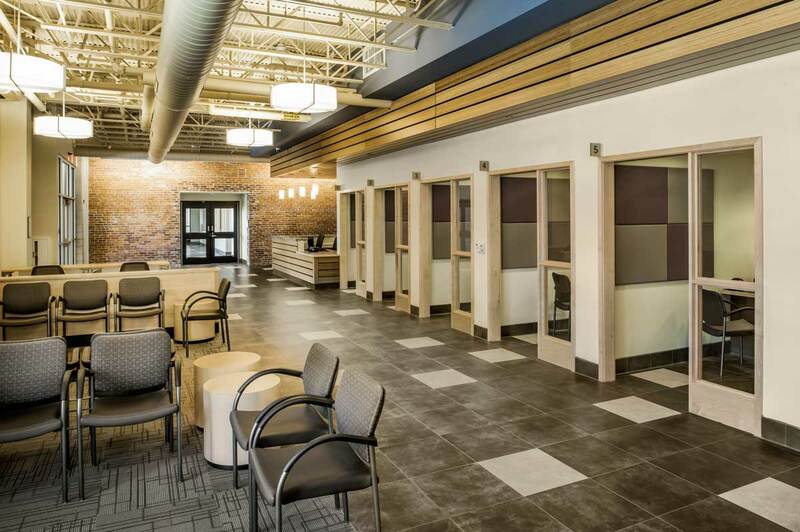 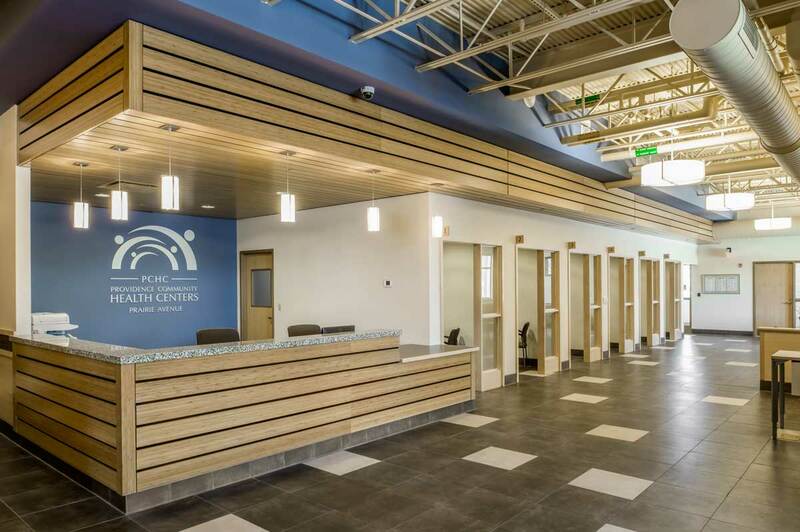 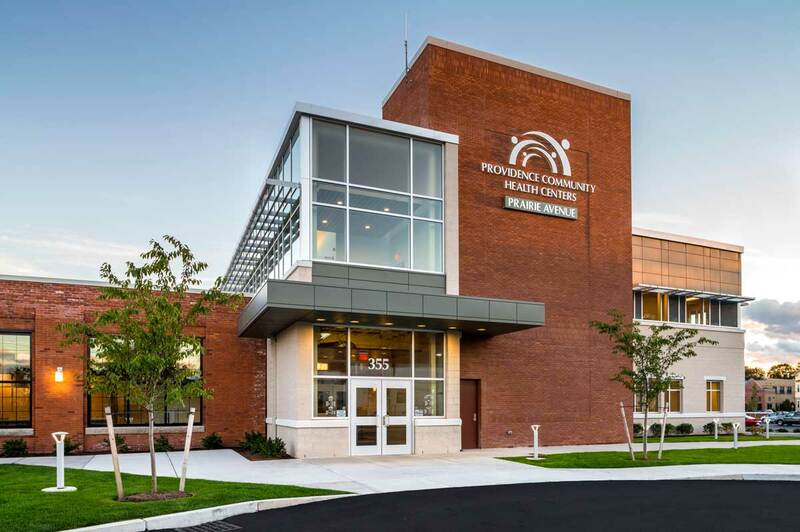 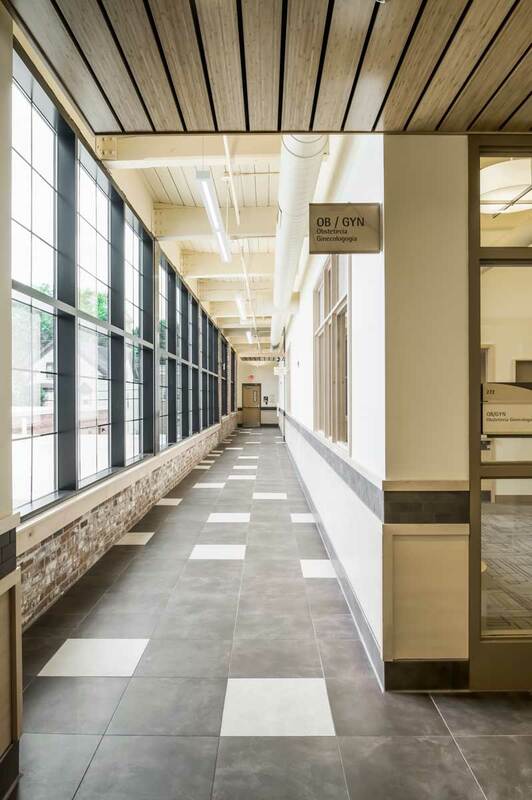 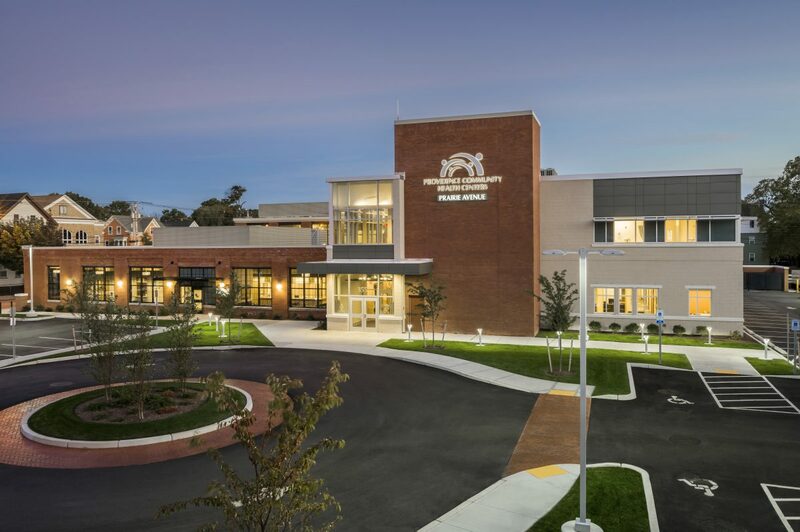 In response to the growing need for increased clinical space at the Providence Community Health Center’s Allen Berry Center, the former Federated Lithograph Buildings were purchased for the development of a new primary care center. 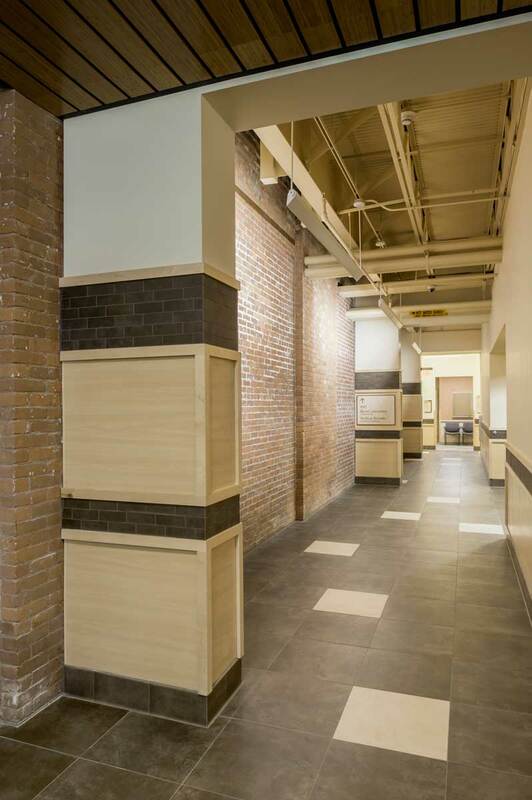 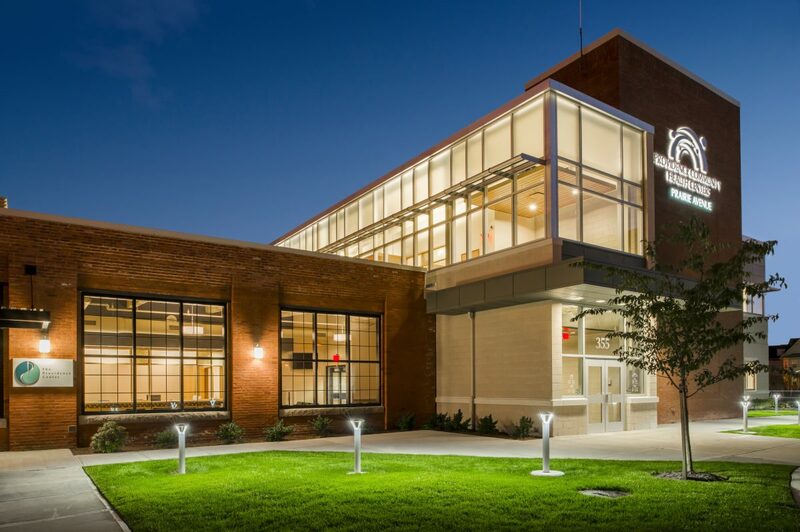 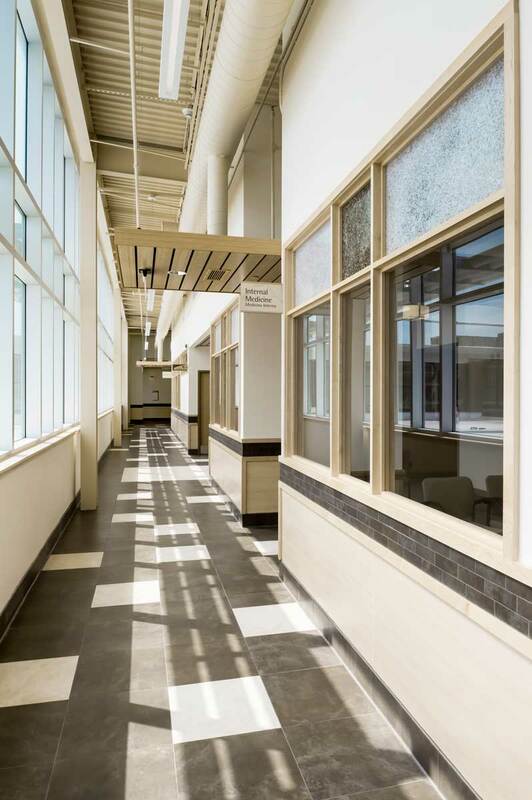 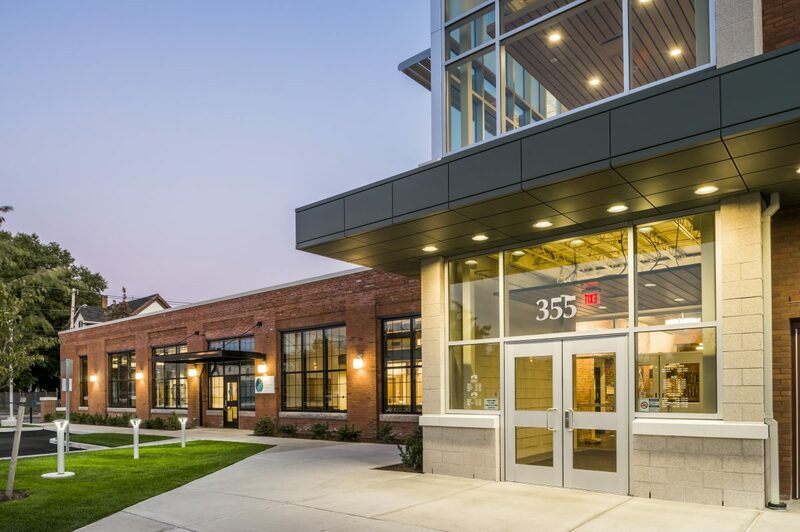 Two existing historic industrial buildings have been renovated and a new, 18,000 s.f. 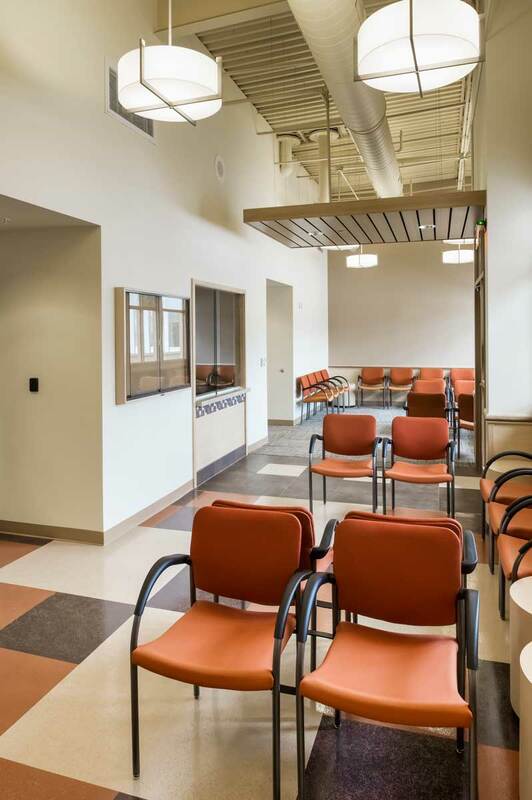 two-story addition constructed to make up the new health center. 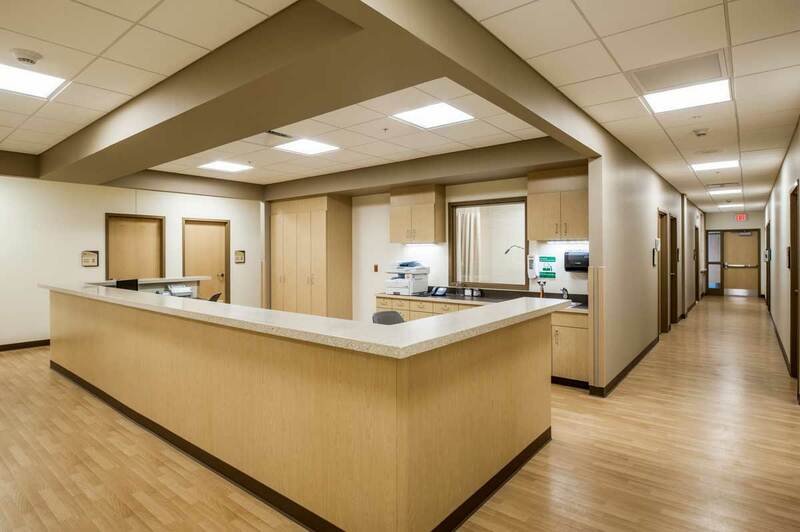 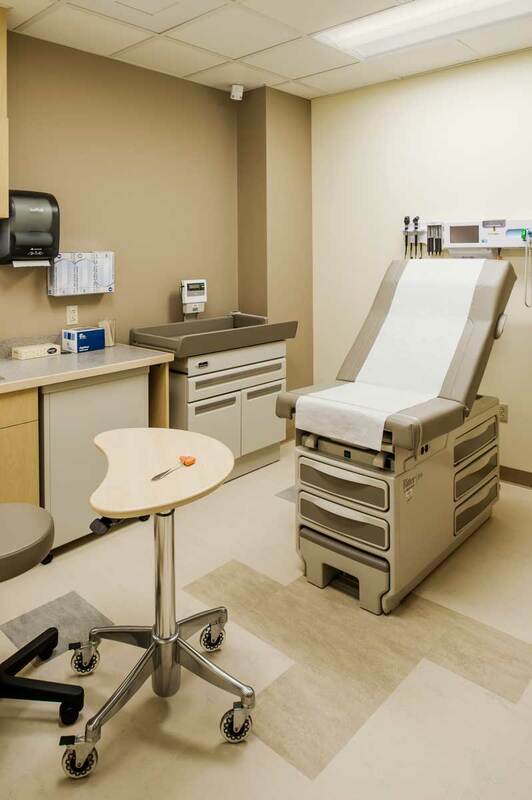 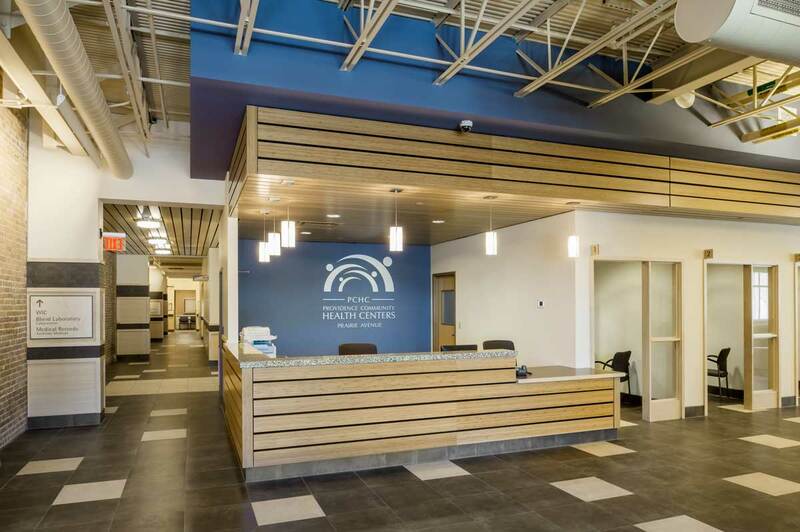 The Health Center contains medical suites for Urgent Care, Behavioral Health Counseling, Pediatrics, Internal Medicine, OB/Gyn, Specialties, as well as a Blood Laboratory, X-Ray, and administrative areas. 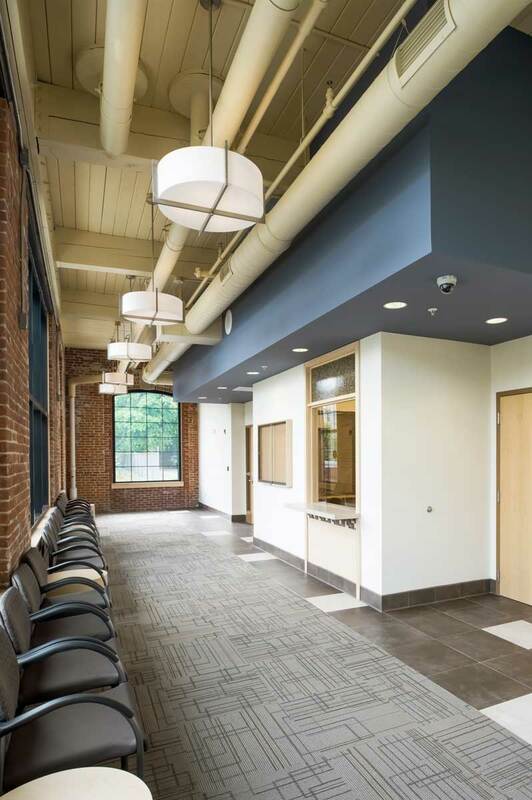 The design of the renovated area preserves and features existing brick walls and heavy timber framing, while the design of the new addition complements the historic mill building.